Since the very first movie came out in 2001, InsuretheGap have been ride or die fans of the Fast & Furious franchise. We’re eagerly awaiting The Fate of the Furious with revved up anticipation and if the seventh movie was anything to go by, the next instalment promises to be the biggest and best one yet! We decided to take our fandom to the next level – to figure out exactly who is the fastest and most furious character of them all, and how much damage has accumulated over the span of the franchise. 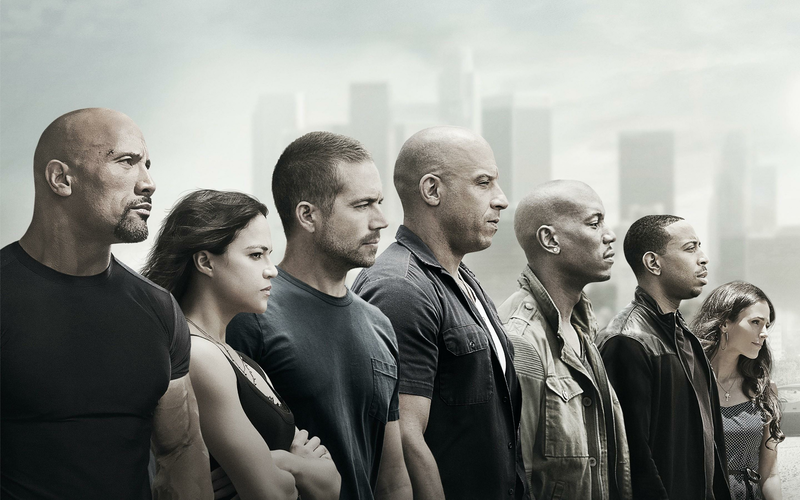 With the help of classic car consultant Nacho Llacer to valuate some of the coolest vehicles on show, we dove into over 13 hours of dedicated movie watching to calculate just how fast, furious, and costly all seven movies are. Overall, it was the ‘good guys’ who proved to cause the most destruction, with a £2,772,489 Lykan Hypersport being the most expensive car that was totalled by Vin Diesel’s character, Dominic Toretto, following that unbelievable Abu Dhabi skyscraper chase. It’s not just cars that get banged up during the series, with various locations taking some serious hits due to the family’s exploits. Significant building damage certainly increased in Furious 7, with Dom’s house being blown up, a car park collapsing, not to mention the aforementioned Abu Dhabi skyscraper-hopping causing untold levels of destruction. Tokyo Drift is the anomaly in many ways, it featured neither Paul Walker nor Vin Diesel and it took a detour into traditional racing territory. This third film was more concerned with amazing driving skill than blowing lots of things up, hence why the level of damage drops considerably. After the fourth movie, it seems that cars alone didn’t cut it anymore. The stakes were raised higher by tanks, helicopters (being hit by cars), aeroplanes (having cars driving out of them), and a variety of vehicles being blown up in increasingly creative ways (a bus careering off a cliff!). As any fans of the franchise will know, Fast 5 heralded a new direction for the Fast and Furious films, with the focus shifting from street racing to crime, the level of destruction skyrocketing, and the number of cast members reaching frankly ridiculous heights. Aided by the outrageous final heist, the level of damage reached astronomic levels in this fifth outing. This also marked the moment that the franchise took a step back from CGI, opting for more visual effects and real life stunts – making the spectacular crashes of the last three movies even more impressive. Things escalated pretty quickly from Fast & Furious onwards, with each movie competing with the last to include the most spectacular and outrageous chase scenes (dropping cars from airplanes, anyone?). Fast & Furious 6 took the biggest leap in terms of car and building devastation with Owen and his henchmen responsible for dozens of obliterated vehicles. Deckard’s reign of destruction in Furious 7 ensured this outing topped the damage stakes, as well as the value of the supercars (a Maserati Ghibli, Nissan GT-R, and Aston Martin DB9 among the highlights for petrol heads) speeding around the United Arab Emirates rising to unbelievable new levels. It seems like more destruction equals a better box office return, as the earnings for each film increase with every new release (after Tokyo Drift). The unbelievable carnage of Furious 7 certainly paid off at the box office, as this latest instalment became the fourth-highest grossing film of all time before being toppled by Jurassic World. It’s not surprising that cars are the main area of destruction for Brian and Dom, while Mia was the only character who just caused damage to a building after Fast 5 saw her accidentally directing the bank vault into the path of an unfortunate shop. Vince was a tough call, but we thought he redeemed himself enough to be part of the good guys after joining the team in Fast 5. Our research proves that each movie did, in fact, get faster, more furious, and a whole lot costlier, with a grand total of £419,446,914 worth of colossal damage! Surprisingly, Jason Statham’s character, Deckard Shaw, caused the most damage out of everyone, even though he only played a major role in Furious 7 (seeking vengeance after his brother, Owen, was thrown from a plane in Fast & Furious 6). The latest trailer for The Fate of the Furious has got us extremely excited for the next instalment. It’s great to see a return of Vin Diesel, Dwayne Johnson, and Jason Statham, while Kurt Russell joins the mix and there’s even rumours that Eva Mendes may reprise her role as Agent Monica Fuentes. A closer look at the trailer has given us more questions than answers. Will Dom betray his family by teaming up with new villain, Cypher, played by Charlize Theron? Have the rest of the good guys retired into normal lives? Will Deckard finally avenge his brother? Why is Hobbs in prison?! We’re excited to see how the epic story finally pans out and we’re sure it will receive the spectacular ending it deserves.